Project 500 is a campaign to address the imbalance in the number of male to female coaches, creating a more diverse workforce to drive the growth of female participation in sport. It has seen over 500 female coaches recruited, developed and deployed across the seven South East counties. Project 500 won't stop there, further plans are being developed to continue building on its success, so make sure you sign up to be at the forefront of female coaching. Benefit from following Berkshire's Super 6, #CoachingChats, mentoring or Buddy Up with other coaches, Women in Coaching Bursary and discounted training. An apprenticeship programme with a difference! 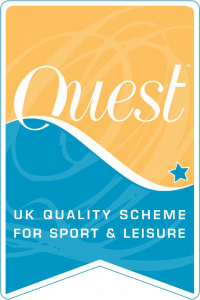 The scheme developed in partnership with key sports organisations across the county gives young people aged 16-24 years old, living in Berkshire the chance to become the next generation of inspirational coaches. Coach Core was developed with the Royal Foundation of The Duke and Duchess of Cambridge and The Duke and Duchess of Sussex who wanted to develop a sports programme to give young people the opportunity to succeed. This is a volunteering to instructor programme to help people enthusiastic about working with older people and help them to live happy and healthy lives. Get Berkshire Active are looking for more volunteers to help with the Ever Active programme to lead session in the community - bringing activities closer to home so older people who are most at risk can assess physical activity and/or support network. 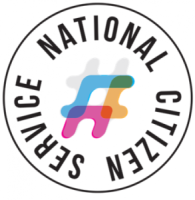 NCS is a youth programme that runs across England and Northern Ireland. We exist to engage, unite and empower young people, building their confidence so they can go out there and achieve their dreams, no matter where you're from or what your background is. This programme is managed and supported by NCS Trust by delivered by The Challenge in Berkshire. GBA are working closely with The Challenge to create more opportunities locally throughout the year so that young people have more options to regularly volunteer. This programme is designed to recruit, develop and provide a young workforce to lead, officiate and deliver the Berkshire School Games. Targeting people between the ages of 14 - 17 years old from secondary schools around Berkshire.